Situated At River Side Of Brahmaputra , Capital Of Assam , Kamakhya Temple, Museum. 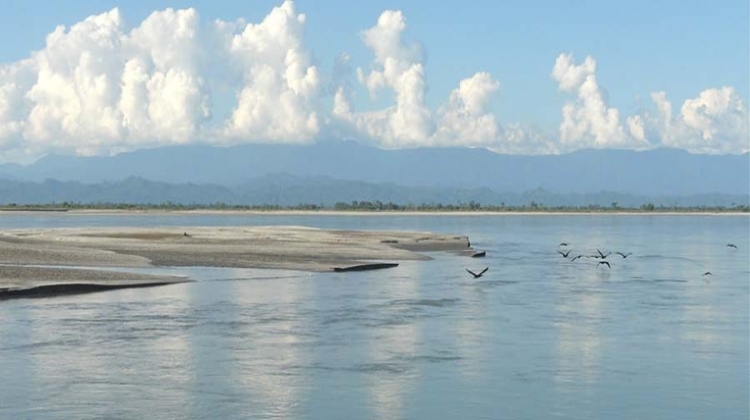 Capital of Meghalaya, Butterfly Museum, Elephant Fall , Wards Lake, Air Force Museum. 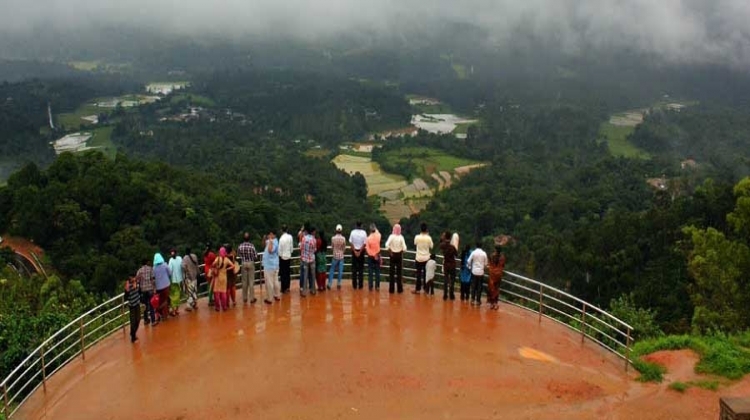 Most Heavy Rainfall Area In India , Seven Sisters Fall , Mousmai Fall , Bangladesh View Point. Tawang Budhvihar, War Memorial, Handicrafts Center , Shungestar Lake. 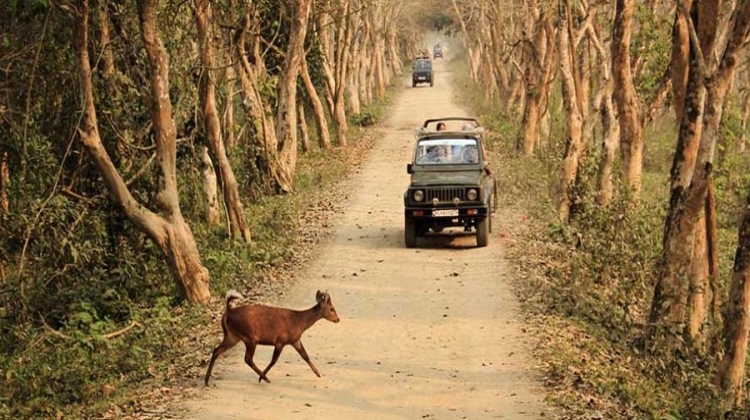 Famous for Rhinoceros Jungle , Jeep Safari. Mumbai to Guwahati by air. Arrive Guwahati then proceed to Shillong. 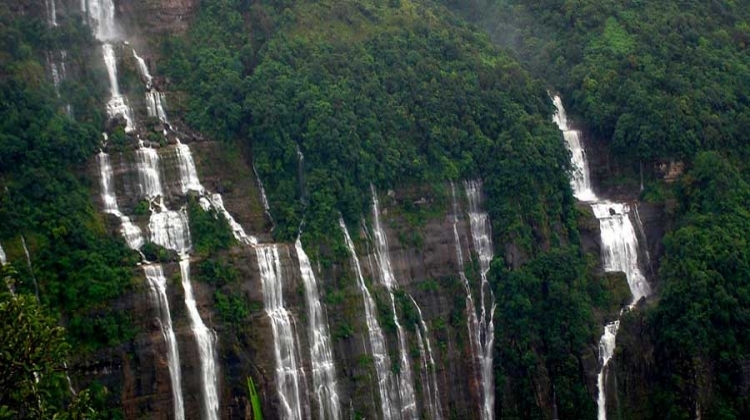 Arrive Shillong & overnight stay at Shillong. After breakfast proceed to Cherapunjee en route visit to Air force museum, Shillong Peak, Elephanta Fall. 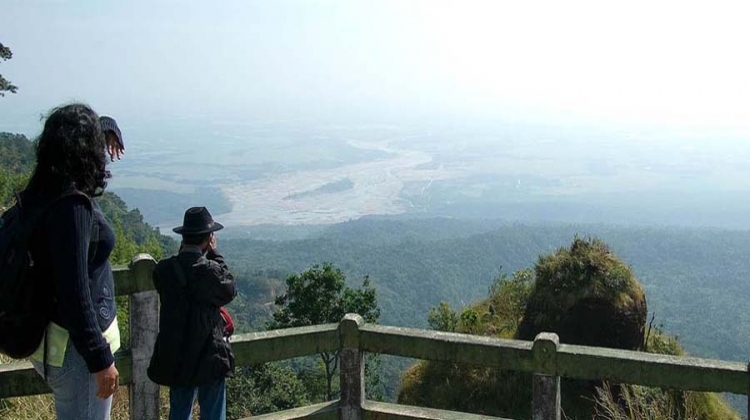 Arrive Cherapunjee & enjoy Cherapunjee sightseeing in that visit to Ramkrishna Mission School, Naukalikai Water Fall, Mausamai Caves, Bangladesh View point then evening back to Shillong and overnight stay at Shillong. Shillong - Mawlynnong - Dawki - Shillong. After breakfast proceed to Shnongpdeng Villgae then visit to Mawlynnong Village, Tree House, Living Root Bridge, balancing rock, Dawaki River & overnight at Shillong. After breakfast proceed to Tezpur enroute visit to Wards Lake, Umium lake & overnight stay at Tezpur. 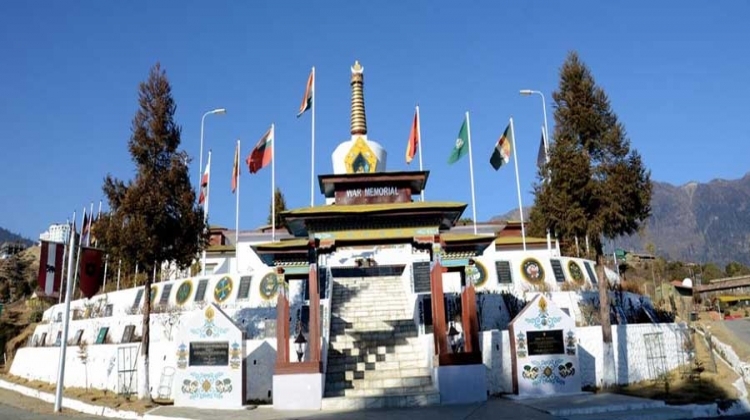 After breakfast proceed to Dirang enroute visit Bomdila Monastery & overnight stay at Dirang. After breakfast proceed to Tawang enroute visit to Jung Waterfall, Sella Pass, Jaswantgarh. Arrive Tawang then documentary show at war memorial & overnight stay at Tawang. After breakfast Tawang sightseeing in that visit to Tawang Monastery, Penga Ten Tso Lake (P T S O Lake), Madhuri Lake, (Bumla Pass If permitted by Army) & overnight stay at Tawang. After breakfast proceed to Tenga & overnight stay at Tenga. After breakfast proceed to Kaziranga ( 260Km./9Hrs.) 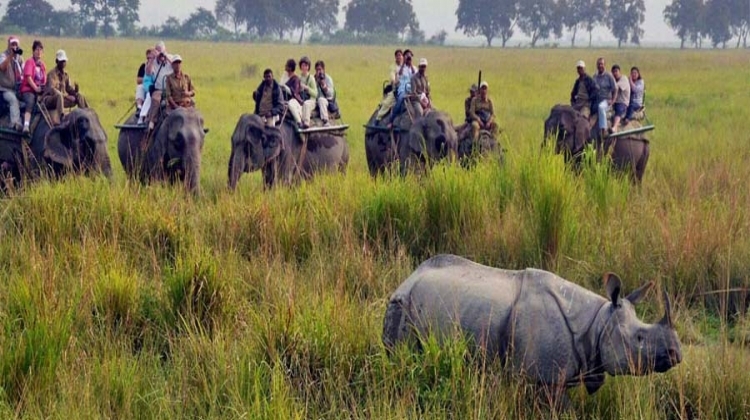 & overnight stay at Kaziranga. Early morning Elephant Safari in Kaziranga Forest & after Lunch Jeep Safari in Kaziranga Reserve Forest, then proceed to Guwahati & overnight stay at Guwahati. Guwahati sightseeing - Mumbai by air. 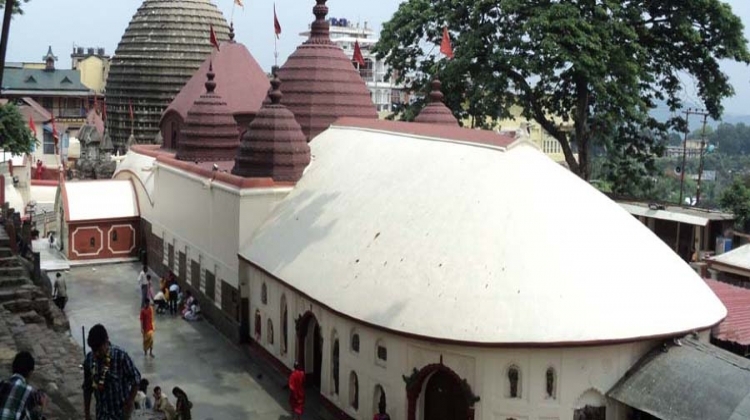 After breakfast Guwahati sightseeing in that visit to Kamakhya temple. After lunch check out from hotel then visit state museum & proceed to Mumbai by air.